As part of our series of features on great trips and destinations you can enjoy with us, Brian Tidbury, one of our Project Skippers here at LNBP Community Boating, tells us about one of his favourite trips – heading south from Braunston on the Grand Union to Milton Keynes. 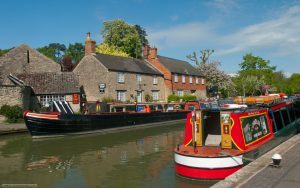 One of my favourite routes from Braunston for a busy 5 day or relaxed 7 day trip is to head south down the Grand Union Canal. 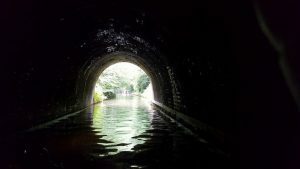 I love this route as there is so much to see of interest, and from a schools perspective it is great if you are doing a project on canals. 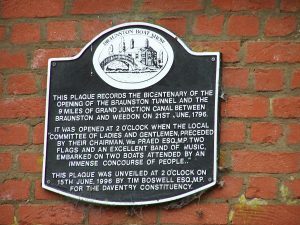 We start at Braunston where the Grand Junction Canal (predecessor of the Grand Union) joined the Oxford Canal. 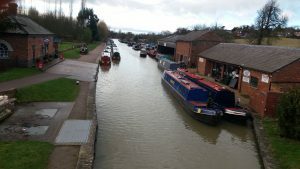 The marina here used to be a reservoir for the Grand Junction where water coming down the Braunston locks was collected and then pumped back up to the summit level. 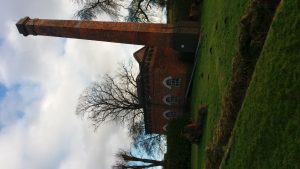 The pump, originally steam powered, and pump house, are still in place beside our mooring place and the initials GJC and 1897, the year of its build can be seen in the chimney brickwork. 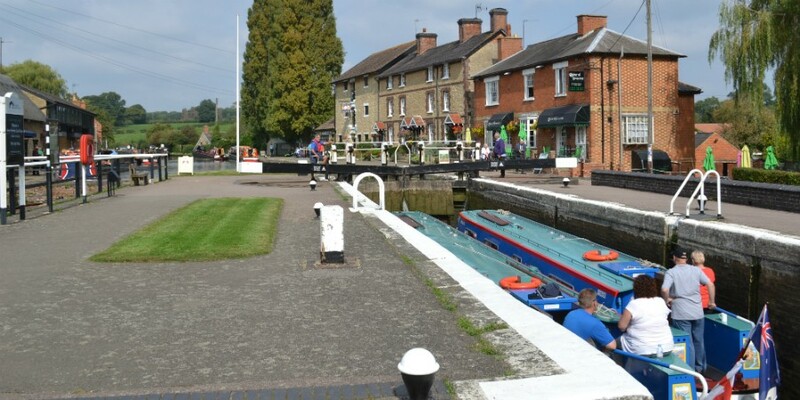 On departing from Braunston, we climb the Braunston flight of six locks which raises the canal to its summit level. We then immediately enter the Braunston Tunnel which takes us through the hill, exiting at Welton Wharf after 1,867 meters and approximately 25 minutes underground. 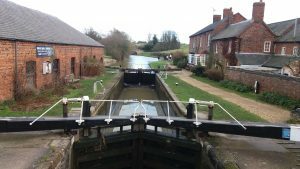 Soon we reach Norton Junction where the Leicester Arm branches off but our route is straight on and we begin the descent from the summit through the seven locks at Long Buckby and Whilton. Immediately after the first of these locks we pass under the old Roman Road of Watling Street, now the A5, a centuries old route paved by the Romans. As we descend the locks, and in the following lock free section, the canal is closely accompanied by the London Midland railway and the M1 motorway, all three routes squeezing together to pass through Watford Gap, a gap in the hilly landscape near the village of Watford (also the location of a motorway service station!). These three transport routes are roughly 200, 150 and 50 years old respectively but the Roman Road is the daddy of them all being over 1800 years old! Soon we reach Weedon which the canal passes on a high embankment almost level with the top of the church tower and from where we can look down on the village. 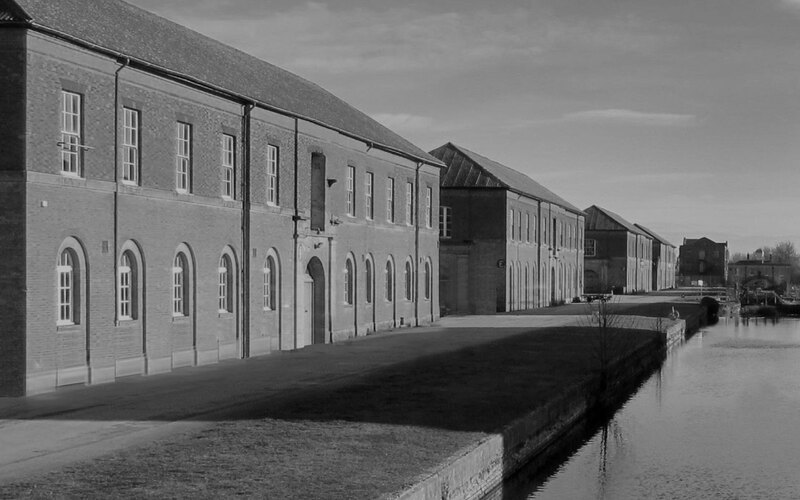 We moor here for little while to take a short walk to see the Military Ordinance Depot and arsenal, built in 1803-5 (in the era of the Napoleonic War) and which once included a Royal Pavilion to be used as a retreat by George III in case of invasion by the French. It was built here as it is the place in England that is the farthest from any coast and would therefore be the last place the invaders would reach. 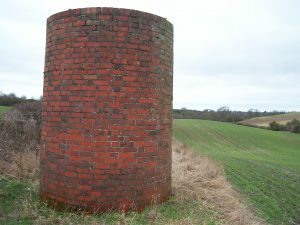 It was originally served by an arm from the canal which entered the walled area through a portcullis. The arm was infilled in 1971 when the railway was electrified but the portcullis and canal within the base can still be seen. We then have a 12km (7.5 miles) stretch with no locks before we pass Gayton Junction where the Northampton Arm of the canal branches off down the valley of the Nene and joins the river at Northampton. 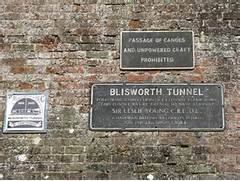 We carry straight on and shortly plunge into the Blisworth Tunnel which at 2811 metres is the third longest navigable canal tunnel in the country and the ninth longest in the world. 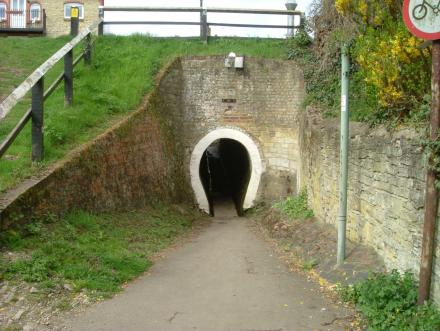 This tunnel proved very troublesome to build due to the quicksand through which it passes and the first attempt was abandoned for a new route which was started in 1802, and the tunnel finally opened to traffic in March 1805. This was the last part of the Grand Junction canal to be finished and a temporary horse drawn tramway was used over the hill to bypass the tunnel and get the canal operational while the tunnel was being finished. The tunnel has continued to give problems ever since and it was most recently closed in the late 1970’s for some years due to movement in the brickwork causing danger of collapse before the middle section was relined with pre-cast concrete sections and reopened in 1984. This new section tested new materials and techniques which were later used on the Channel Tunnel. We emerge from the tunnel into Stoke Bruerne, a true canal village. The canal is the high street of the village with all the buildings, warehouses, shop, public houses and homes, fronting onto the water. Immediately outside the tunnel we see the old leggers hut where the men rested between trips spent lying on their backs on the boats propelling them through the tunnel by pushing with their feet on the walls, as the tunnel was built with no towpath for the horses to pull boats through. The leggers hut is now used by a blacksmith whom we may see at work. The leggers were later replaced by steam tugs and the winding hole (turning place) used by the tugs to turn around between trips is seen near the tunnel mouth. In the centre of Stoke Bruerne is the Canal Museum housed in an old warehouse. 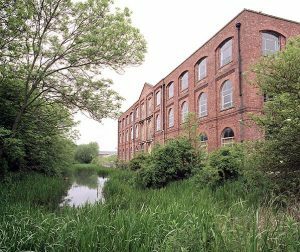 This is well worth a visit to explore the 200 year history of canals through its many exhibits including a reconstruction of a working boat cabin, and a visit to the shop as you leave gives an opportunity to buy a souvenir. Leaving Stoke Bruerne village we continue our descent from the summit through the seven Stoke Bruerne locks taking us further down towards the river Great Ouse. After 8km on the same level we reach Cosgrove. Here we pass under an ornate stone Gothic style bridge and over a horse tunnel, built to provide access for the boat horses (and people) from the towpath to stables on the other side of the canal. Around the corner the now derelict Old Stratford Arm heads off to the right to Old Stratford and the canal passes down through a lock with a drop of just one metre. This brings us onto the lowest level of this section of the canal but this is still 12 metres above the valley floor. The canal crosses the valley floor on an embankment 800 metres long and with an aqueduct in the middle taking the canal over the river Great Ouse. Like the Blisworth Tunnel this was another major undertaking for the canal builders of 200 years ago and took so long to build that initially a temporary flight of locks was built taking the canal down to the very bottom of the valley where it made a level crossing with the river, and back up the other side. The locks took time to operate, wasted water and the river became unnavigable in times of flood but they got the canal operational and were opened in 1800. Work then took place on the embankment and a three-arched brick aqueduct which were opened in 1805. Again like the Blisworth tunnel, problems persisted as part of the embankment collapsed in 1806 and had to be repaired, and then the aqueduct collapsed in 1808. This was a major problem but fortunately the old locks were still in place and were brought back in to use. 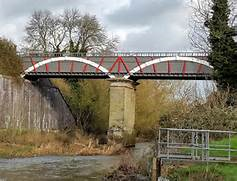 By this time the use of iron troughs for aqueducts had been proven (most notably at Pontcysyllte in Wales) and a design of this type was adopted. 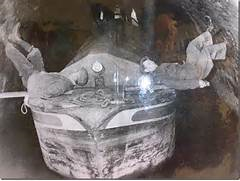 The Cosgrove iron trough however was the first to be of wide boat dimensions and was a much larger structure and had to be much stronger than previous designs. This new aqueduct was opened in 1811 and was in continuous use for over a hundred years, not being closed for maintenance until 1921, and again in 1986. We stop here for a while to explore this historical site, passing through the cattle creep under the embankment to trace the line of the old locks and view the aqueduct from below. The cattle creeps each side of the aqueduct provide a route for cattle (and people) to access fields separated by the building of the embankment. Shortly after leaving Cosgrove behind we reach New Bradwell, a small village swallowed up by the expanding new town of Milton Keynes. As the town’s grid road system was being built and extended it was necessary to replace a shallow embankment carrying the canal over the Loughton Brook with a new aqueduct to allow the V6 Grafton Street to pass under. As we are still on the lowest level of the canal water coming down the locks from both directions ends up here and the aqueduct includes an overspill to carry away the excess water which can be seen alongside the canal channel. The aqueduct is 125 metres long and cost £4.5 million when it was built in 1991. 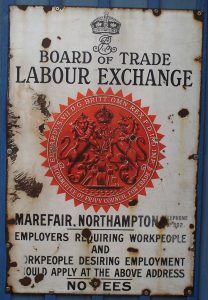 Compare this with the Cosgrove iron trunk of 180 years before! The canal now meanders around the perimeter of Milton Keynes as it continues its way south and Campbell Park provides good moorings from where it is but a short walk to Xscape. 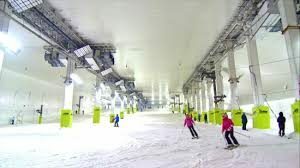 Here there is a cinema, bowling alley, climbing wall, snow zone, indoor sky diving and lots of eateries, or you can try some street food from the outdoor market alongside if visiting during the day. Note some of these activities would need booking in advance and would have to be planned into your trip to ensure sufficient time was available. Many of the activities are open until late so an evening visit is possible. 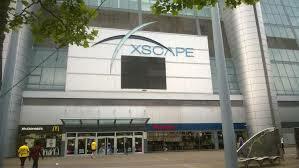 Visit the XScape Milton Keynes website here for all details. At Milton Keynes we turn the boat and retrace our steps back to Braunston. Any of the places mentioned above can be visited on the outward or return leg of the trip (or both). The trip itinerary including overnight moorings and timings will need to be planed (and agreed with your skipper) prior to departure. There is a public house, The New Inn, at Norton Junction 3 to 4 hours from our Braunstone base which provides an opportunity for a meal out on the last night of the trip if desired. There are a number of shops along the route where you can purchase bread and milk etc. and a large supermarket nearby the canal at Wolverton (between Cosgrove and New Bradwell) which is good for a major shop. The whole trip (there and back) is approximately 70 miles (113 km) and includes 42 locks, requiring a total cruising time of approximately 30 hours. This leaves plenty of time to visit the places of interest along the route on a 7 day trip. For a 5 day trip some early starts and/or late finishes may be required or we can turn at New Bradwell (just after the Grafton Street aqueduct) and not visit Xscape.